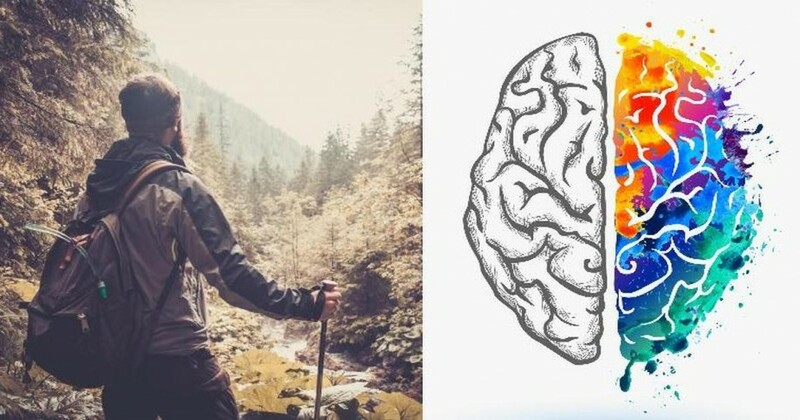 Doctors Explain How Hiking Changes Your Brain In These 3 Powerful Ways! Hiking is a great way to get some fresh air and stay in shape, but did you know that it’s also good for your brain? Not only does the exercise lower stress, but walking outside also sparks creativity, improves cardiovascular health, boosts immunity and enhances problem-solving skills and focus (1). That’s why researchers are suggesting that hiking and other outdoor activities are an integral part of physical and psychological health. Here are a few reasons why you should get off the treadmill and get on the trail. Researchers have discovered that using hiking as a complementary therapy can help people overcome severe depression, feelings of hopelessness, and even suicidal tendencies in distressed patients (2). A 2015 study determined that walking in nature for 90 minutes increased positive thoughts and reduced neural activity in the subgenual prefrontal cortex, the region of the brain responsible for mental illness. In contrast, walking in an urban setting increased negative thoughts as well as subgenual prefrontal cortex activity (3). Hiking can still benefit the mind of people who are not struggling with depression, according to Leigh Jackson-Magennis, the Market Manage at REI Outdoor Programs and Outreach in New England. “Being out in nature, away from the business of our daily lives and technology, can allow people to connect with themselves and nature in a way that brings out peace and a sense of well being”, she told the Huffington Post (4). Searching for a boost of creative energy? Hiking may inspire you in more ways than one. Researchers have found that going outdoors every day can increase your creative problem-solving skills by up to 50%. David Strayer, a professor of psychology at the University of Utah and co-author of the study explains the phenomena: “The human mind is heavily influenced by the environment we’re in. It’s not useful to become a slave to technology” (5,6). Researchers speculate that these results are likely due the mind-numbing effects of technological devices. Stepping away from technology is believed to stimulate creative thinking patterns that aren’t exercised when you’re in front of a screen (7,8). Studies done by the Landscape and Human Health laboratory at the University of Illinois found that children with ADHD experienced relief from symptoms when exposed to and interacting with to nature. Indoor activities, however, such as watching television or playing video games, were found to worsen to symptoms (9). Better yet, being outside is free and accessible to everyone, making it an ideal early intervention tool to support the mental health of children worldwide. Unlike ADD and ADHD medication, nature therapy is free and doesn’t have any negative side effects. Before you rush to the nearest trail, print out a map of where you’re going and keep it with you throughout your adventure. It’s also important to identify the trail you’ll be taking and let your family know where you’ll be and when you’re expecting to be home. Remember, when hiking, always go with a friend or family member, carry plenty of drinking water, stay on the trail, wear comfortable & appropriate footwear, and be aware of poisonous plants and wildlife in surrounding areas (10). If you’re packing snacks, be sure to keep them in sealed containers to avoid attracting animals and use your containers to pack away any waste after your meal. Some parks have specific regulations about what you can bring and what you should wear, so make sure to do a little research before heading out. If you’ve never hiked before, check out apps such as AllTrails, MapMyHike, or Every Trail to find the best hiking spots nearest to you (11). 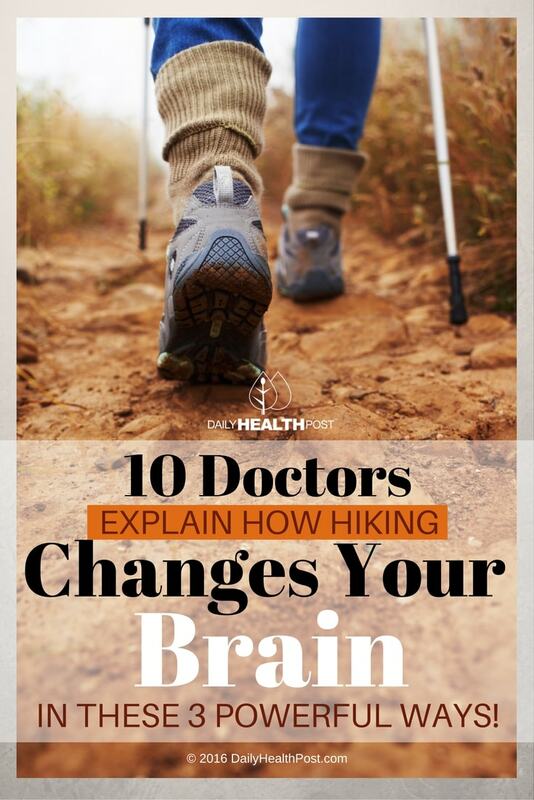 Latest Headlines » Brain Health » Doctors Explain How Hiking Changes Your Brain In These 3 Powerful Ways!